Hello! 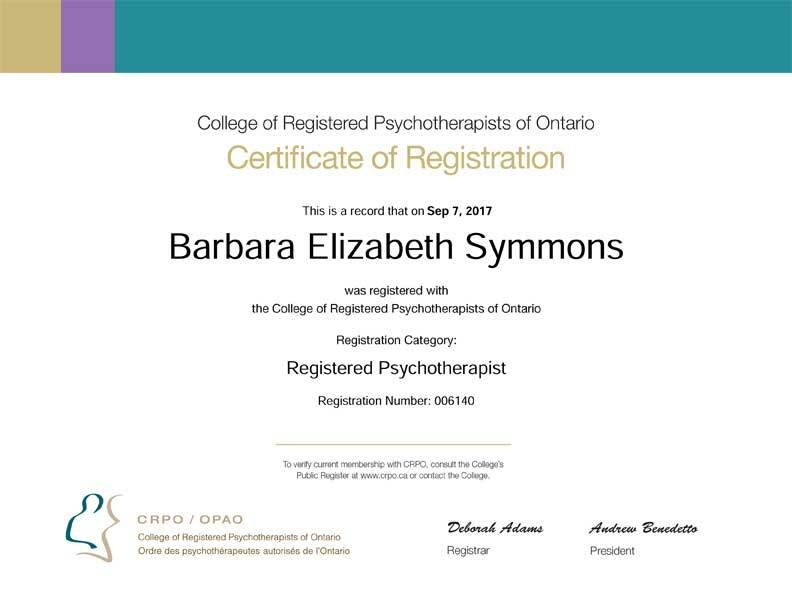 I'm Barbara Symmons and I'm dedicated to my craft: empowering people to overcome barriers and move forward with confidence to excellence. 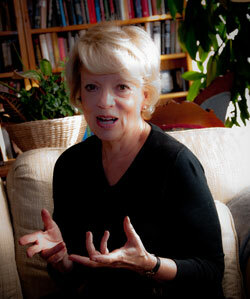 For over 30 years I have practised as a psychotherapist and counselor in Toronto, Canada. 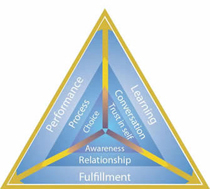 Through advanced studies at the Adler Institute I have added Executive and Life Coaching to my practice. My comprehensive education, training and experience combine with a strong spiritual base, intuition, sense of humour, and insight to create meaningful relationships. 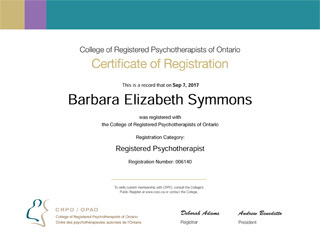 ASK your health benefits provider to INCLUDE registered psychotherapists in your benefits package today. Insurance companies have been given the green light to include registered psychotherapists in health benefit plans from a risk perspective. Employers just need to request they be added. Mindfulness (meditation) has become the cornerstone of my work. I teach a simple, focused, effective skill for managing stress, improving work performance and all aspects of life, including health and well-being. My coaching focuses on performance, learning and fulfillment in all areas of work and life. Psychotherapy is an interpersonal, relational intervention used by a trained psychotherapist to aid clients in the problems of living. This usually includes increasing individual sense of well-being and reducing subjective discomforting experience. Being satisfied with one's work is one of the most important aspects of an individual's personal happiness. Dissatisfaction with work can spread into other parts of one's life, affecting relationships with family and friends.